More than 400 labs responded to our survey of IQCP readiness. The results weren't pretty. The biggest finding? More than 90% of US labs haven't completed a single IQCP yet. This, after nearly a year and a half of the "educational period" gone and only about six months remaining before IQCP takes effect. Labs are rapidly running out of time. Furthermore, most labs only plan to assign one staff person and expect to have no budget for training or development of IQCPs. Does this sound like a recipe for success? And while the survey was focused on US labs, a fair number of labs outside the US responded. There are some key differences we found between labs inside and outside the US. Namely, the foreign labs working on IQCP are better prepared and are devoting more resources to implementation, even though they aren't facing the CLIA regulatory mandate to implement them! Are we going to see the best IQCP implementations outside the US? Finally, we let respondents share their unfettered opinions in open free-form text. (In other words, we asked them how they really feel). Luckily, almost all the responses were printable, and most of them were eye-opening. If you think you've read too much about IQCP, you haven't heard enough from the labs that have to implement it. A few weeks ago, CMS finally released their most complete document yet about IQCPs. This wasn't a memo or a brochure, but an actual "step-by-step guide." We were enthused about this publication until we began reading it and noticed that a major step has been skipped. The Risk Assessment section no longer contains any actual Risk Assessment. How could this happen? What does this mean? Does the new CMS CDC Guide to IQCP mean labs don't need to purchase EP23[tm]? Or do any real risk assessment? This one hour webinar, half hour Q & A covers the challenges of ISO 15189. This ISO lab standard is rapidly becoming the Global Lab standard, yet the vagaries of its requirements leave a lot to be desired. Many of the provisions of ISO 15189 are all principle and no practical. Dr. Westgard will explain how laboratories can navigate the maze of "mays" and not founder on the shallows of "shalls." Using something as simple as a Plan-Do-Check-Act Deming cycle can transform the bewildering list of ISO requirements into an actionable plan of continuous improvement. Read more about this webinar at Thermo Scientific's website. At this workshop, we're going to explore what happens beyond Six Sigma. Sure it's nice to find out you've got world class quality, but what do you do next? What are the actual impacts to routine operation of world class assays? How are outliers and trouble-shooting impacted? What do you do with those assays that aren't world class but are more like "problem children"? What additional techniques can you bring to bear on them? How can advanced informatics that look at moving patient averages or moving patient medians give you even more information about the quality of your methods? Kick back, cool off, and join us for some world class conversation about world class methods. Register now for this workshop. I had the pleasure of running into Dan Leighton, creator of SmartLabTools. He's created a set of very simple PDFs - not Excel spreadsheets, but PDFs. These make the data entry easier and you're also less likely to accidentally enter some formula error. He's got PDFs that cover allowable error limits, your QC ranges, even your Sigma-metrics. Right now the tools are free for evaluation. We knew that the accreditation agencies needed to develop their own policies to handle the new CMS IQCP regulations. CAP gets the prize for being first out of the gate with some practical steps, as well retaining some safeguards for quality. 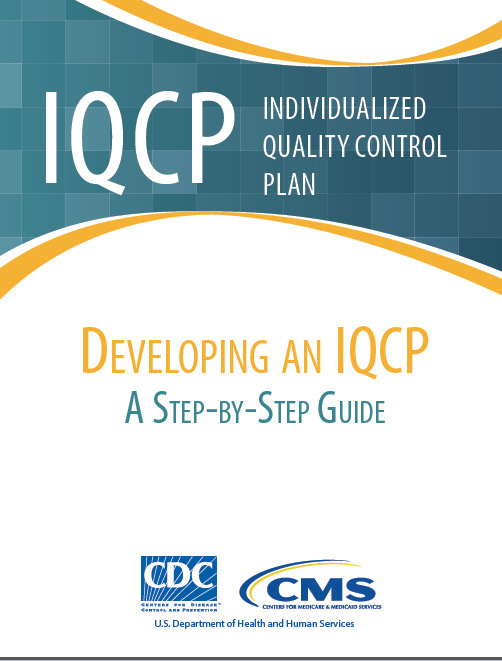 IQCP, if it's not already burned into your head, stands for Individualized Quality Control Plan, and this is supposed to be the replacement for the EQC policies which have been in place for several years. The EQC policies are being replaced, you may recall, because they are scientifically untenable. It was hoped that IQCP was going to be more scientifically robust. That remains to be seen. CAP is attempting to assure that it will implement the CMS IQCP regulations but also provide a higher level of quality assurance than that low bar. Pop Quiz: could this error have happened in your lab? A recent news investigation produced a litany of laboratory errors. Can you guess which of these lab errors actually happened? an HIV test falsely identifies a husband as HIV positive. The couple separates, the wife unwilling to trust the husband anymore. a paternity test sample gets switched: a father is falsely told that his daughter is not his biological child. The family splits up. Nearly 4 years later, the laboratory contacts him and tells him he was the father. The father-daughter bond remains broken. The answer, after the jump.